Add to Favorites is a classic case of learning a technique in one area (IE7 or Mozilla) and applying the knowledge to another area – Regedit. Regedit’s ‘Add to Favorites’ is ideal for that moment when you have taken ages to find a value, yet you know that you will have to return on another day to fine-tune the data. Tag the value by clicking on Regedit’s Favorites menu, and choose ‘Add to Favorites’. Fittingly, this is my favorite Vista Registry tip. The secret of editing the registry safely, is to practice with Regedit’s Export and Import until you achieve mastery. Once you have found a particular registry setting, and before you make any changes, pause, take a timeout – think, ‘I’ll Export Selected branch’. Exporting is straightforward. 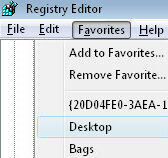 Once you have found your registry value, click on Regedit’s File menu and select Export. Decide whether to save ‘All’ of the registry, or just the ‘Selected branch’. If I am going to examine the file in Notepad I export just the subset, rather than exporting ‘All’ of the registry. The advantage of keeping the default .reg file extension is that if you double click the file, then merge the settings with the registry of the current machine. If you need to examine the file with Notepad, then right-click and choose ‘Open with’. Alternatively, launch notepad first, and then open the .reg file by altering the ‘Files of type’ dialog box. See here for more details. Try a Registry Import, even if it’s only on data you just exported. My point is that you need to build confidence, you need to be prepared for that day when you have to repair a registry for real. As a by-product of trying a registry Export and Import, you may ask questions such as, ‘Where should I store all these .reg files?’. I am afraid that only you know the answer to this location question. Note 1: The Export file should be have a .reg extension. In passing, this .reg extension may ring a few bells with files that you have seen when installing programs in Vista or XP. Note 2: As an additional safety measure consider renaming the registry value. I admit that this tip is only really useful when you are making complex changes, for example, renaming the Computer Icon. This is the situation, you are following instructions from TechNet, or applying a fix from an article on the web. My registry tip is, get into the habit of seeking out key words. Begin by asking yourself, ‘Am I modifying or adding this new setting?’ If you are adding, is it a whole key, or just a new value? Be aware that while most values are REG_SZ, meaning "string data", there are also important REG_DWORD values, meaning hex data. With DWORDS, remember that their natural units are hexadecimal not plain decimal. When you are editing the registry, one of the most annoying mistakes is to start at the HKLM registry hive, when you should be drilling down into the HKCU section. To make sure you in the right place, keep an eye on the menu bar at the very bottom of the regedit interface. If you click on Regedit’s Edit menu, then you will see ‘Find’. To speed up your search, it is worth experimenting with the various boxes to tick: Keys, Values or Data. In passing, ‘Find’ teaches us the correct terminology, Keys are the registry folders, while Values are the REG_SZ or DWORDs that we may be adding to the registry. Finally, we have the data in the form of a string or a hex number. My principle use of ‘Find’ is to check that I have found the correct place. What I do is press F3 to discover if there are indeed more instances of the value I am editing. The trap is that you edit a value in the users section of the registry, HKCU, instead of the machine section, HKLM. A variation of the ‘gotcha’ is when editing the HKLM\System\ControlSets, what I want is the System\CurrentControlSet and not ControlSet2 or 3. While I did not like the IsShortCut registry tweak, F3 was indispensable for finding about 5 instances of this value. Here is another example of employing ‘Find’ to reach the Winlogon registry Key quickly. 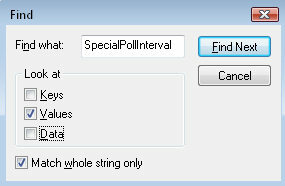 My point is speed up the search by making full use of the three ‘Look at’ boxes, Keys, Values and Data. One of the most under-used troubleshooting techniques is comparing the damaged machine with a similar, but healthy machine. While you can try this simple idea for general troubleshooting, it really comes into its own when researching registry settings. I realize that one difficulty of this approach, is that you many not know where in the registry to look for a particular value. One answer is to experiment at the healthy machine. Export the entire registry, make a change in the area that you are troubleshooting, then export the registry again. Now use the Windiff utility to investigate precisely which area(s) of the registry are affected by your actions. I have a hidden agenda here; and that is cajoling you to try Vista’s built-in help. While this is a thankless mission, I am determined to change attitudes. The young traditionally ignore help, while the old are jaundiced by bad experiences of help in earlier Windows systems. What I can say by way of encouragement, is that as an IT professional and a Microsoft MVP, I still learn something new every time I press F1, and open Vista’s built-in help. Here are two recent examples of Regedit’s help. 1) During a registry restore, before I pressed F8, I needed to make sure that the Num Lock key was off; otherwise I could not make a selection from the restore options. 2)I asked help: Why are ‘Unload Hive’ and ‘Load Hive’ are greyed out? The answer was I had to first select either HKUsers, or HKLM, but not Classes Root or Current User. Imagine this situation: you are sitting at a machine and considering a new risky project for regedit. 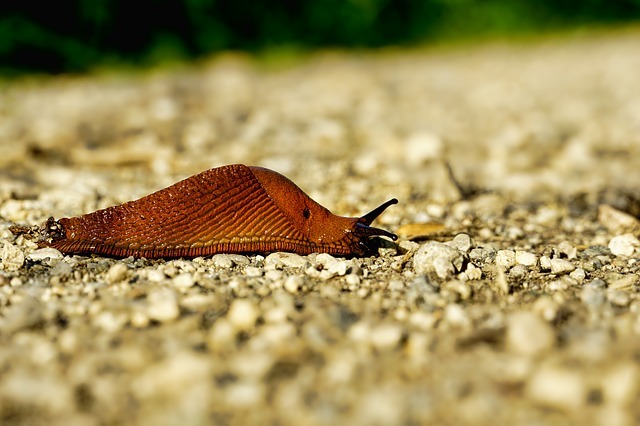 Now the question is, should you start the Remote Registry service? If you do, then it will be easier to troubleshoot problems from another machine. The downside of allowing Remote Registry access is that it could open back-doors for hackers. In a nutshell, the decision to start the Remote Registry service is based on security rather than technical difficulty. Of all my Vista registry tips, Remote Registry editing is the technique to employ if you are troubleshooting why a machine hangs after booting. Scroll down the list of services until you come to the ‘Rs’, right-click Remote Registry, and select Start from the short-cut menu. Before you make any changes to the registry settings, get into the habit of exporting at the branch of the registry that you are working with. Backup the system state before you try anything radical in the registry. Check out the .sav files in the \system32\config folder. Research Volume Shadow Copy, and test how it restores a previous version of your registry files. If your computer has a serious problem, which requires pressing F8 at boot-up, remember to try Last Known Good as your first recovery option. 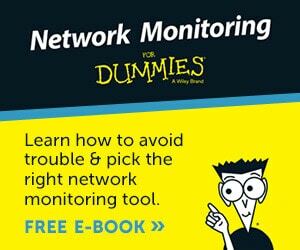 Learn how to perform a remote registry edit with: Connect Network Registry. As you work through my registry examples, make a point of studying each page’s ‘Key Learning Points’.